Twenty seven youth from Sri Lanka’s Southern province successfully completed their first section of hotel industry training by the Aitken Spence School of Hospitality. Commemorating the event, an award ceremony was held on the 13th of February 2015 for the handing of certificates. The training for the students were financially supported by CARE International while all resource personnel and logistical support for this endeavor was provided by Heritance Ahungalla. As part of a joint initiative between CARE International and Aitken Spence School of Hospitality; the three-month training programme was aimed at enhancing employment opportunities for underprivileged youth. The course module designed as per ILO Certified Standards and incorporated by the Sri Lanka Institute of Tourism and Hotel Management is registered with the Tertiary and Vocational Education Commission. The training will be followed with industry placement at the Aitken Spence Group of Hotels, thereby giving students the opportunity to gain first-hand industry experience. Student K.L. Dimuthu Madushan received the award for the ‘Most Outstanding Student’ of the batch. Dimuthu also bagged the award for the ‘Best Student – Food and Beverage Services (Theory)’ while D.S.S.K Silva obtained the award for the ‘Best Student – Food and Beverage Services (practical)’ category. S. A. Nilushika Udayangini received the award for ‘English Language’. To mark the occasion for the handing of certificates, Mr. Jeevaka Weerakone Assistant Vice President, Human Resources /Training & Development of Aitken Spence Hotel Managements, Mr. Refhan Razeen Executive General Manager- Heritance Ahungalla, Mr. Gregory Brady Country Director, CARE Sri Lanka, Ms. Lahari de Alwis CARE SL Private Sector Manager, Ms. Shivani Fernandez CARE SL Senior Programme Coordinator, Sujeewa Jayamanne Country Representative Diageo -Faculty and Resource Personnel were present together with the staff from both Aitken Spence Hotel Managements and Heritance Ahungalla alongside with the students’ parents. Elaborating on the benefits of the training; Mr. Jeevaka Weerakone, stated, “An opportunity has been provided for a new generation of people. The hospitality industry is important for the future of Sri Lanka and is one of the largest contributing employers to the economy. This sector provides opportunities globally and these students have now received the foundation for it. If one works with honesty, commitment, discipline together with a genuine desire to improve one’s self, then anything is achievable”. Since its inception in 2007, a total of four hundred youth have benefited from the Aitken Spence School of Hospitality programme; with this being the 10th batch of students to successfully complete it. The initiative also placed special priority on encouraging female youth, in hope to boost and promote further female employ ability in the tourism sector. 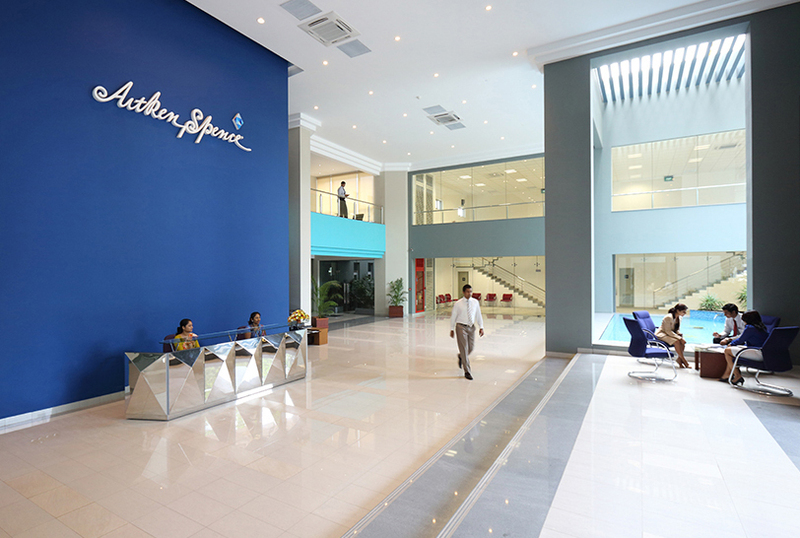 Leading conglomerate Aitken Spence PLC recorded a challenging third quarter but showed a steady performance for the nine months, revealed its interim results to the Colombo Stock Exchange (CSE) released on Wednesday. The diversified group’s third quarter results showed profit-before-tax decreasing by 5.9 per cent to Rs. 1.6bn and profit attributable to shareholders falling by 19.5 per cent to Rs. 870mn, “Although we had a challenging third quarter, we were able to record a steady performance for the year so far”, said J M S Brito, Deputy Chairman and Managing Director of Aitken Spence PLC. “With the new administration in Sri Lanka, we see a significant boost to business confidence. We are confident that the 100-day plan which has received bi-partisan support will strengthen good governance, which augers well for much needed healthy foreign investment to the country” Mr. Brito added. Profit before tax from the tourism sector was up by 3.5 per cent to Rs. 2.5bn while revenue rose by 7.2 per cent to Rs. 12.4 bn, for the nine months. Aitken Spence operates a wide portfolio of hotels and resorts in Sri Lanka, Maldives, India and Oman. Its travel arm, the largest in Sri Lanka, is a joint venture with TUI Travel. 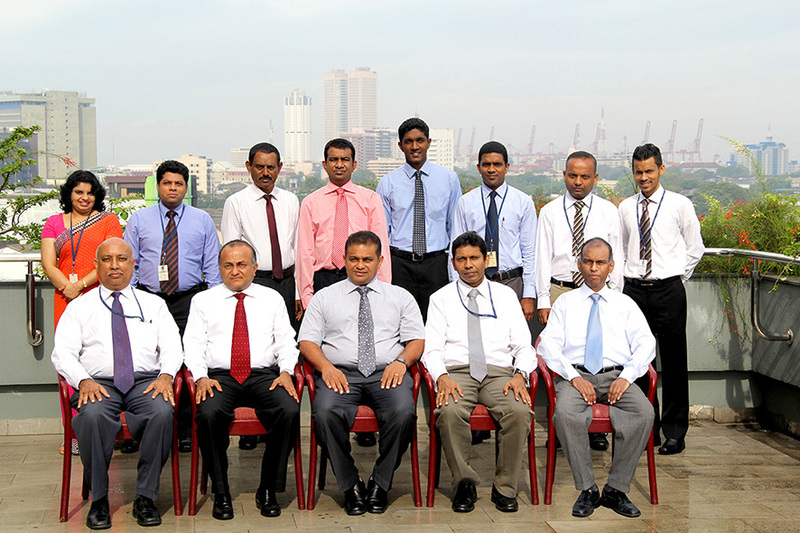 It also acts as GSA for major airlines in Sri Lanka and the Maldives. 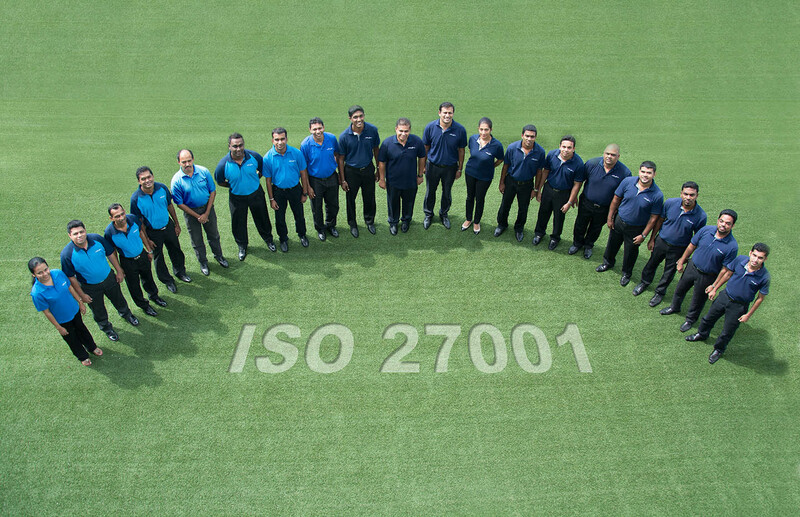 The Group’s Hotels arm is currently overseeing two large hotel projects in Negombo and Ahungalla. Maritime& Logistics sector recorded Rs. 525 mn as profits-before-tax, a decrease of 2.8 per cent over the previous year, while revenue was up by8.5 per cent to Rs. 5.2 bn. 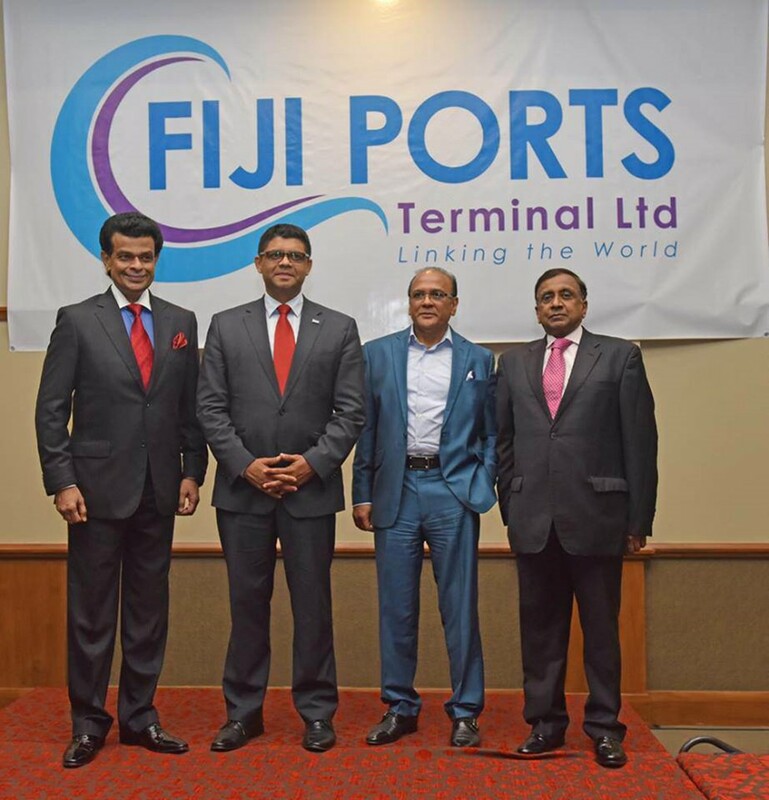 Aitken Spence is Sri Lanka’s largest integrated logistics services provider and has port management services in Africa and the South Pacific.Port operations in Fiji contributed significantly to the sector profits with the company achieving high efficiency levels in the ports of Suva and Lautoka. Strategic investments sector showed a rise of 32.7 per cent in profits-before-tax and 10.1 per cent in revenue, to Rs. 695 mn and Rs. 10.6bn respectively, for the period under review. Power, printing and garments businesses performed better than last year during the nine months, with investments in new machinery and expansion of manufacturing facilities. The Group’s services sector saw profits-before-tax falling by 42.4 per cent to Rs. 104 mn and revenue rising by 14.4 per cent to Rs. 607mn. The services sector includes financial services, insurance, elevator agency and technology businesses.The fairly nascent technology business accounted for a significant share of the losses in the services sector.